Click “Read More” on the YouTube description to jump to a specific topic within the lecture, or begin at timestamp 30:24 to focus on analyzing the textual differences. 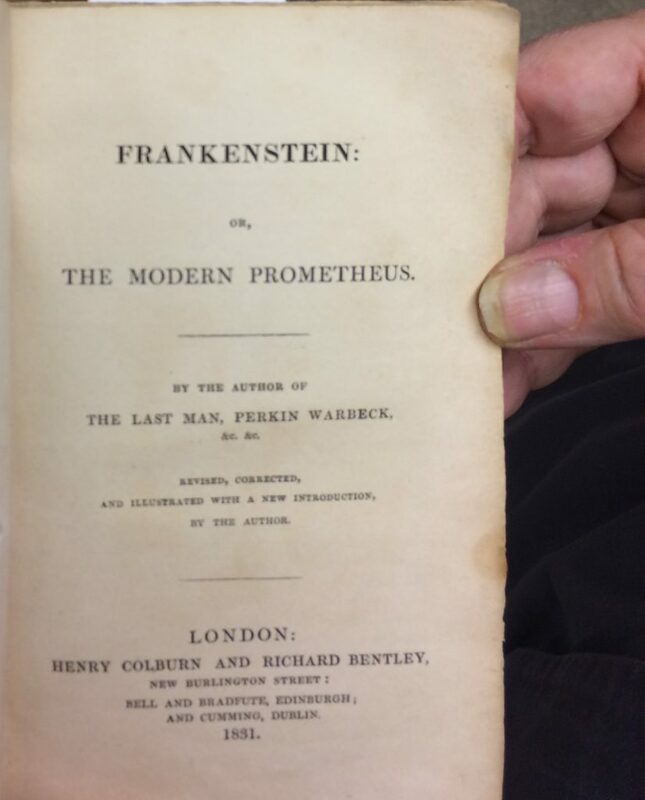 Frankenstein, or, The modern Prometheus / Mary Wollstonecraft Shelley ; edited by D.L. Macdonald & Kathleen Scherf. Ontario: Broadview Press, 1999 [Eaton copy here]. Shelley, Mary Wollstonecraft. 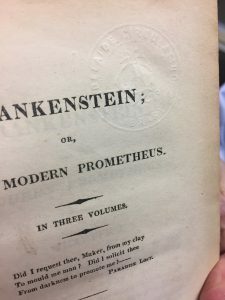 Frankenstein; or, the Modern Prometheus. Pennsylvania Electronic Edition, edited by Stewart Curran [available here]. 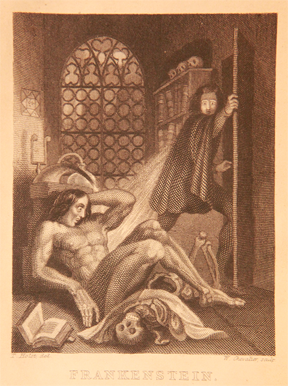 Mellor, Anne K. “Revisiting Frankenstein” in Mary Shelley: Her Life, Her Fiction, Her Monsters. New York: Metheun, 1988. pp. 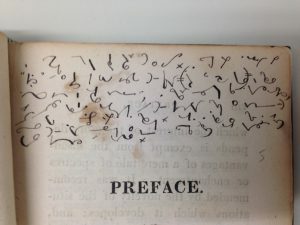 170-176 [available here]. Shelley, Mary Wollstonecraft. 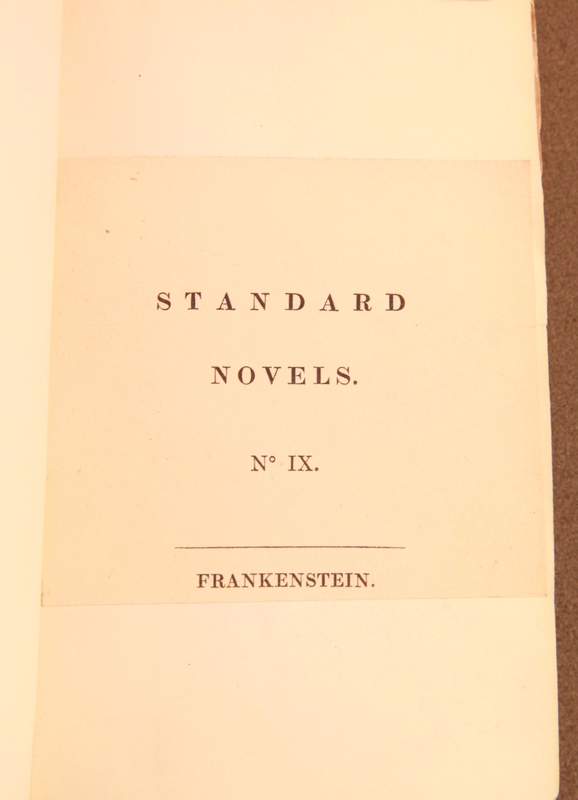 The Original Frankenstein, edited by Charles E. Robinson. New York: Vintage Books, 2009. More info about the book can be found [here] and [here]. Scott, Walter. “Remarks on Frankenstein, or, the Modern Prometheus; a novel” in Blackwood’s Edinburgh Magazine, no. XII, vol. ii (March 1818). pp. 613-620 [available here]. Vint, Sherryl. Science Fiction: A Guide for the Perplexed. New York: Bloomsbury Academic, 2014. Sousanis, Nick. Unflattening. Harvard: Harvard University Press, 2015. Mersereau, Dennis. “Facts about the Year without a Summer” [available here]. This entry was posted in Editions and tagged 1818 frankenstein, 1831 frankenstein, 200 years of frankenstein, editions of frankenstein, frankenstein, frankenstein in pop culture, frankenstein lectures, frankenstein memes, lord byron, mary shelley, mary wollstonecraft, mt tambora, percy shelley, teaching frankenstein, whiny frankenstein, william godwin, year without a summer on May 3, 2017 by Miranda Butler.